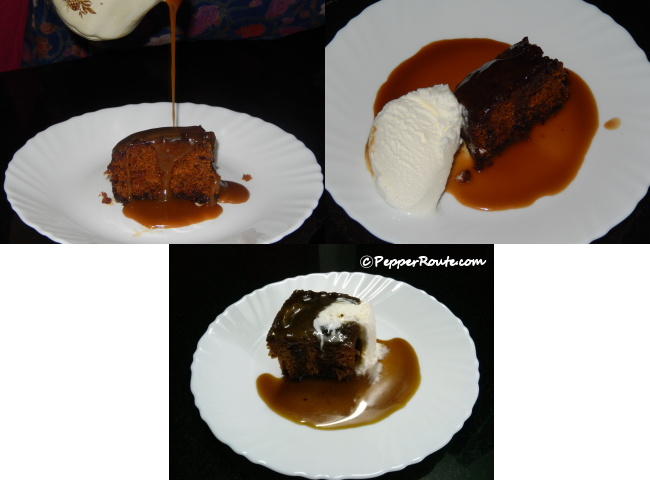 Sticky Toffee pudding is an indulgent and comforting pudding on a cold winter day. The warm, sweet decadent crumbs drenched in toffee sauce, topped with some cold ice cream, is a treat indeed. The excitement turning into disappointment on Natasha’s face is the regular visual I get whenever I plan to make sticky toffee pudding. Natasha, a good friend of ours, is a wonderful person who appreciates good food, especially the latter part of the meal viz. desserts, with oohs and aahs. A few years back some of us got together for dinner at a restaurant called “Blue Mango”. It was Natasha’s birthday. As usual she scanned the dessert section as soon as she got hold of the menu and her face lit up the moment she spotted sticky toffee pudding. Many laughs were shared over the meal and soon it was time to place the order for desserts.Orders were promptly placed and were executed in a random manner. Most of us digged in as soon as we got our desserts only to realise moments later that Natasha was yet to get hers. The guy waiting on us, realised that he had forgotten to mention that they ran out of sticky toffee pudding and she therefore had to choose something else. The disappointment on her face was so intense that I had to ask her over the next weekend and I made sticky toffee pudding for her, despite my busy schedule. 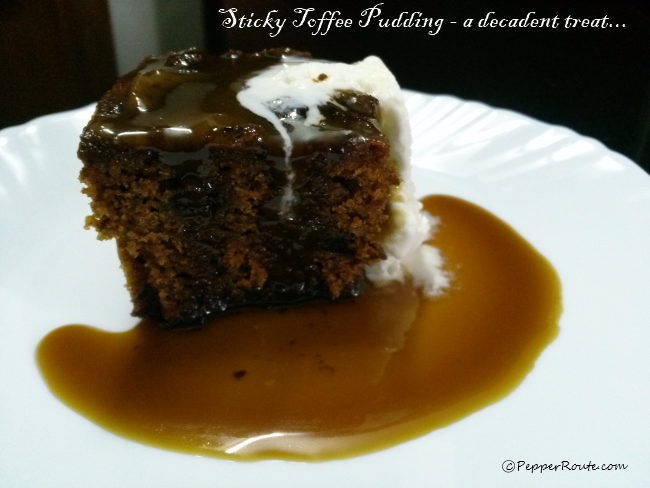 Sticky toffee pudding is an English steamed dessert consisting of a very moist cake with lots of dates drenched in toffee sauce. This is actually a cross between a cake and a pudding and is normally served warm with custard, whipped cream or vanilla ice cream, besides the toffee sauce. According to Wikipedia it’s Francis Coulson, who with his partner set up the first country house hotel, created and served this pudding at his Sharrow Bay Country House Hotel. It looks like he got the recipe from Patricia Martin who published the recipe and served it at her hotel. Her son later told Simon Hopkinson, the food critic thst she got it from two Canadian soldiers who stayed at her hotel during second world war. 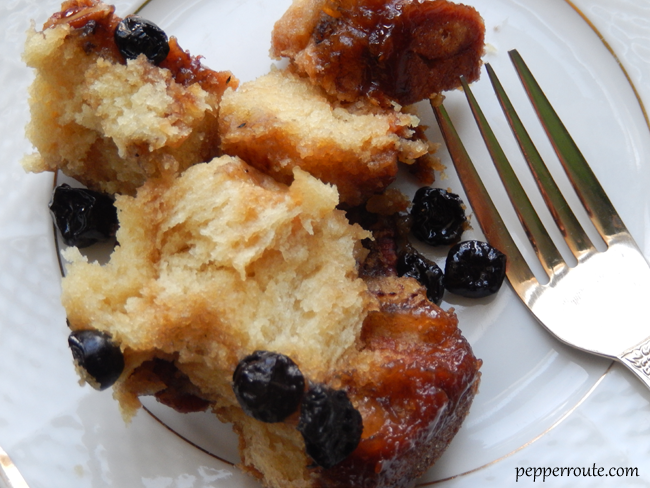 The Canadian origin makes sense as the batter for the pudding is more similar to the American muffin rather than to an English sponge. 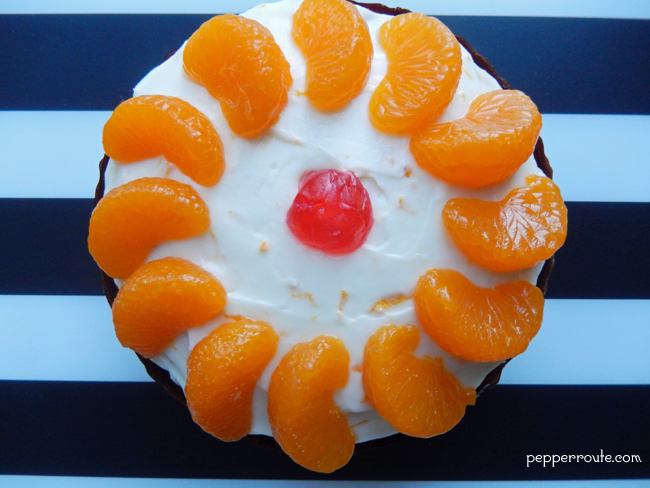 Anyway it’s considered a modern British classic alongside the bread and butter pudding and Jam RolyPoly. 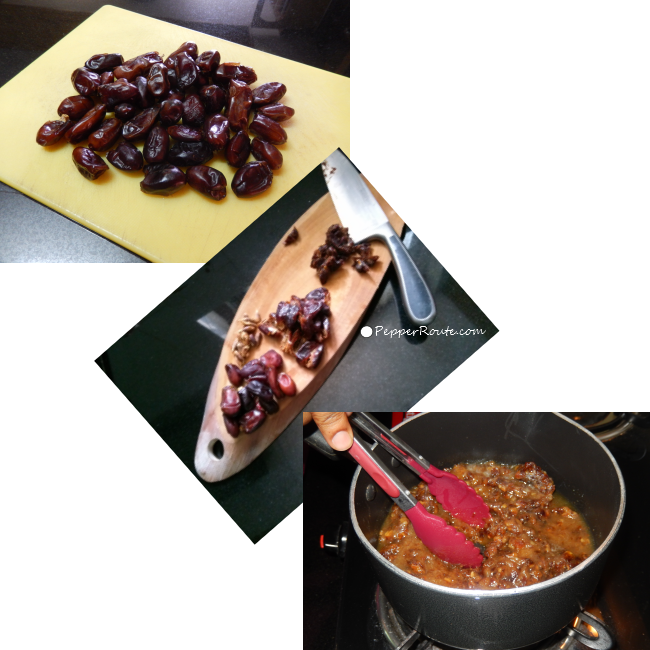 I used dates from Oman, which is one of the world’s top producers of dates. As an age old tradition Omanis plant a shoot of the date palm to celebrate the birth of a son. 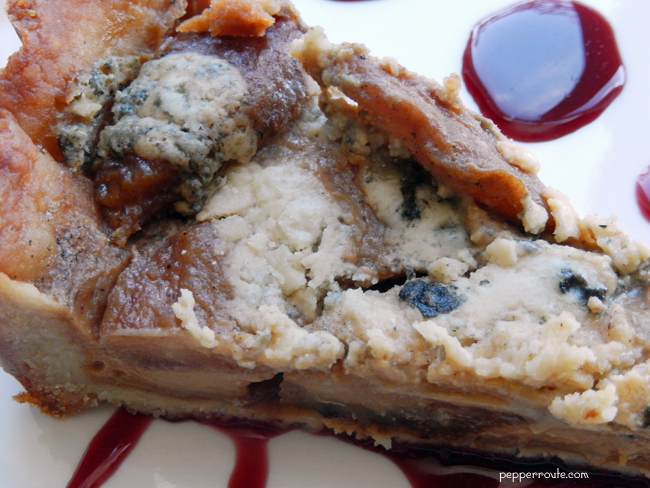 I used 2 tablespoon of blackstrap molasses. Regular molasses or treacle can be used as well. If you find the flavour of molasses too strong replace it with honey or golden syrup. 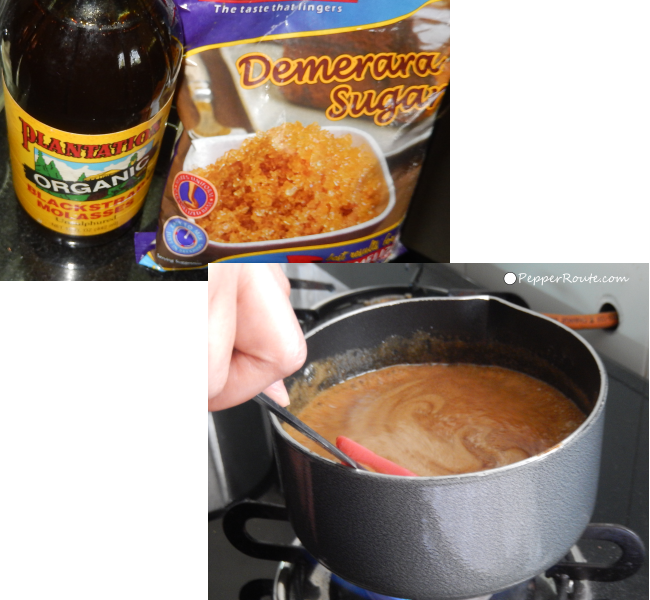 I used demerara sugar for the pudding and light brown sugar for the toffee sauce. If you prefer lighter coloured sauce use white refined sugar instead of brown sugar. Calorie conscious people can sustitute double cream with single cream. To make the pudding lighter, separate the eggs and only beat in the yolks at the beginning. The egg whites can be whipped stiff separately and folded in as the last step. Ramekins can be used to make individual puddings. I used an 8 inch square pan as soaking of the pudding with toffee will be easier. This pudding can be made in advance, and left at room temperature. Rewarm before serving. 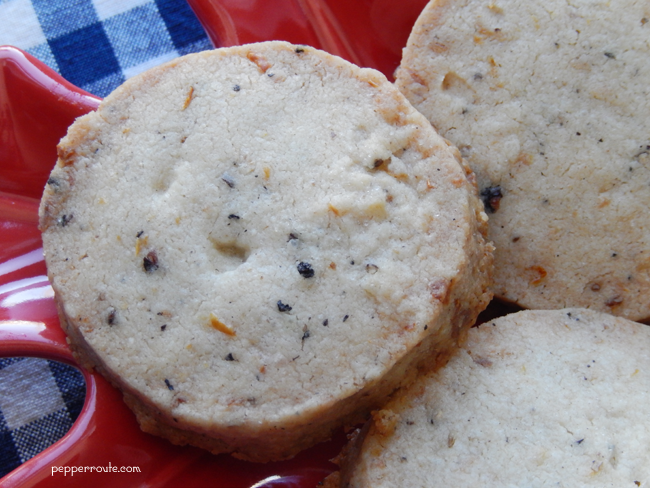 Can be kept in the refrigerator for a couple of weeks and warmed again just before serving. Stone the dates and chop them into tiny pieces. Boil the water and add the chopped dates into the boiling water along with the baking soda and simmer for 3-4 minutes. Leave it aside to cool. Preheat the oven to 180 degree celsius. Butter and flour an eight inch square baking pan. Sieve all purpose flour with baking powder and salt. Beat the butter in a medium sized bowl till creamy. Add the demarara sugar and beat well till the mixture is smooth and creamy. Scrape the sides if needed. Now add the eggs one at a time and beat well. Vanilla extract can be added now. 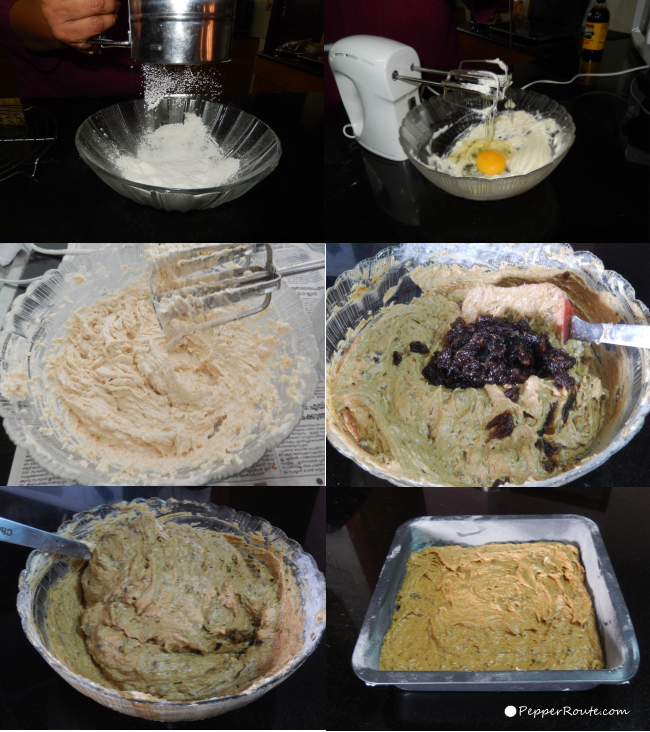 Once the mixture is beaten well, add the sieved flour in small quantities and beat mixture till well blended. 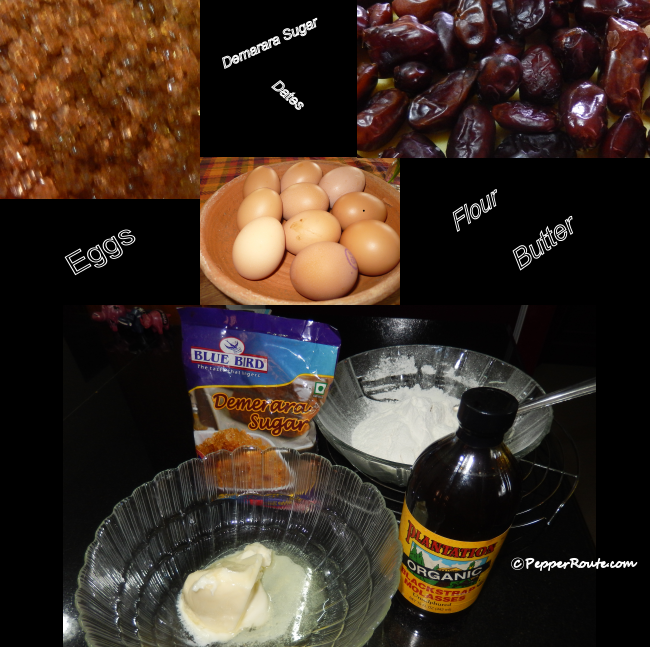 Mix the cooked dates pulp and the molasses and beat well till it is uniformly distributed in the batter. Transfer the batter into the prepared cake tin and bake for 25-30 minutes, checking after 20 minutes. Keep a close watch after that and remove the pudding from the oven as soon as a wooden toothpick inserted comes out clean. While the pudding is in the oven, make the toffee sauce. When done, cool the pudding on a wire rack for 5 minutes. After 5 minutes poke the pudding with a skewer and pour half of the warm toffee sauce all over the pudding. Keep it aside for about 20 minutes. Cut it into pieces and serve with some more toffee sauce and custard, whipped cream or ice cream as you wish. Heat the butter and sugar till the sugar melts. Add molassess and simmer for a minute. Add cream and simmer till it reaches the right consistency (similar to warm honey). It might take only 2-3 minutes. Leave it to cool. Great to know your experience! I am sure it tastes as good as it looks! Yes, the dates and molasses in this pudding along with the toffee sauce make it really fabulous.